There are an estimated 5,000 to 6, 000 black bears living in Virginia (American Black Bear). It is always an exhilarating experience to spy one in the wild! We live in the shadows of the Blue Ridge Mountains, close enough that it is an easy day trip to the Shenandoah National Park. We enjoy going for the views, a stroll through the woods, and a picnic followed by blackberry cobbler at one of the lodges, several times a year. 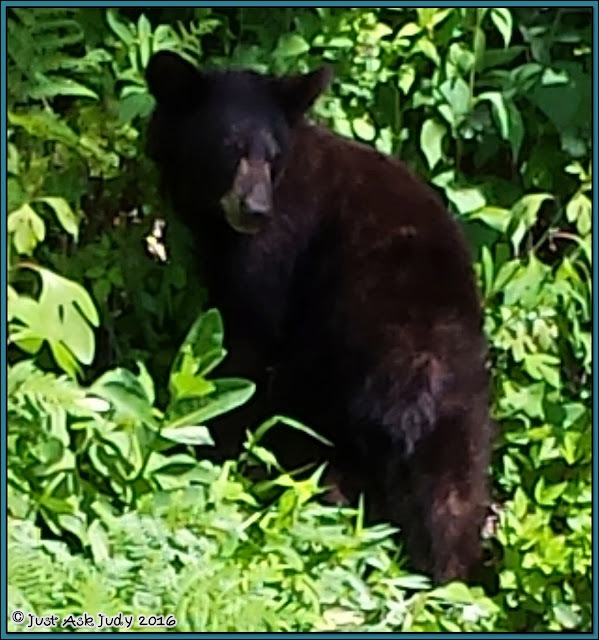 We were lucky enough in June to spot this one on a hillside along the Skyline Drive. I did not have my camera in hand but another family member was quick enough to snap this shot, which just in case you’re wondering was taken from within the safe confines of a car! There’s just something alluring about bears… I collected stuffed bears and figurines for years (Somehow they’ve been replaced by flamingos!) so I couldn’t resist this set of adorable school bear clipart by Marie Cole Clipart. I have created several resources with this set including these free table signs, which can be downloaded from my TpT store. Simply print, laminate, cut, hang, and enjoy! 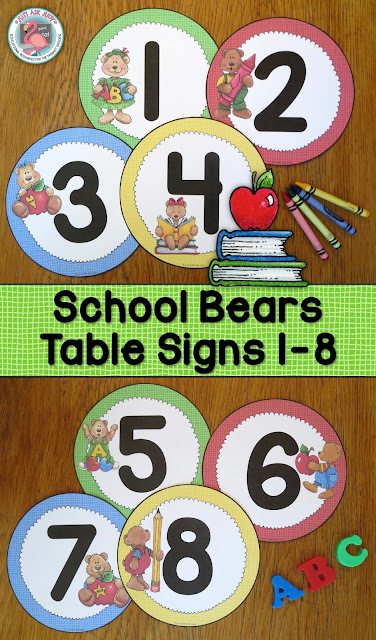 These coordinating bold and simple School Bears Number Posters 0-20 keep the bear themed classroom decor going. I love any activity which incorporates movement with learning. 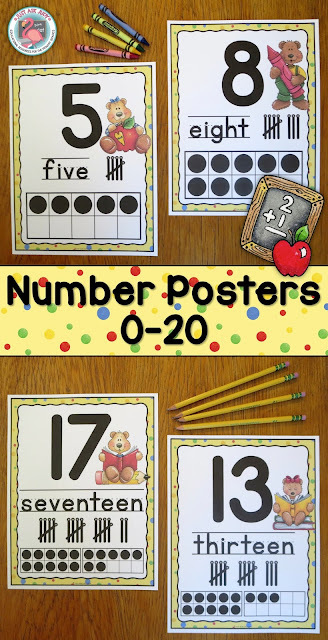 These Roam the Room number sense activities fit the bill and are perfect for Back to School or anytime. You might also enjoy these Table Signs for Learning. 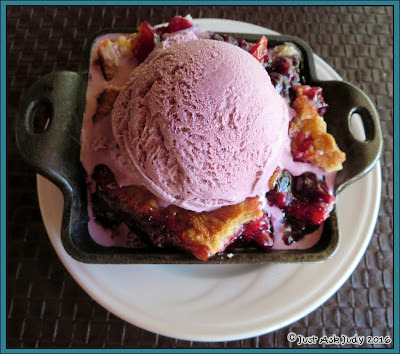 And don’t forget to visit Big Meadows Lodge for their scrumptious blackberry cobbler. You can request it a la mode with blackberry ice cream! Be sure to check out the Back to School ideas and resources on this Pinterest board!